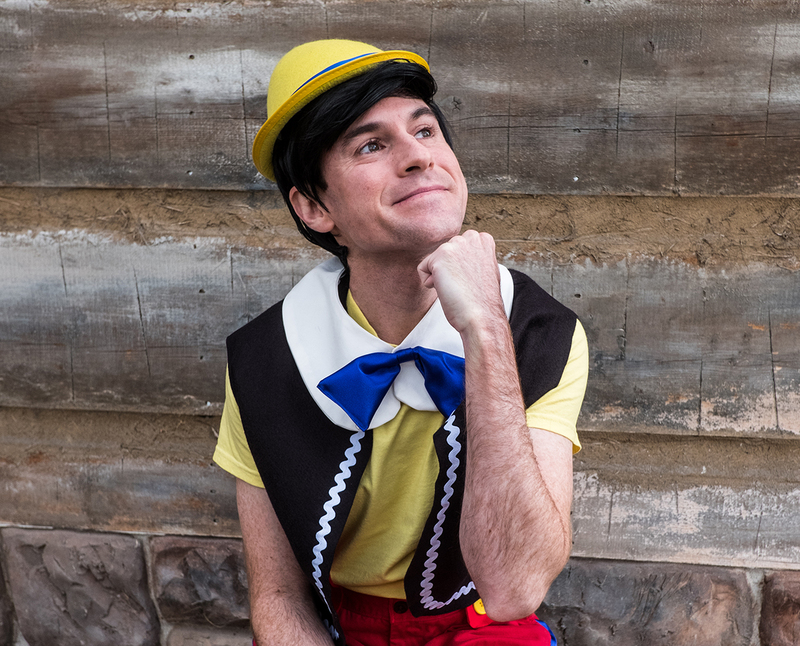 Today, we're introducing you to Pinocchio–a new character on Studio C that we know you'll love! 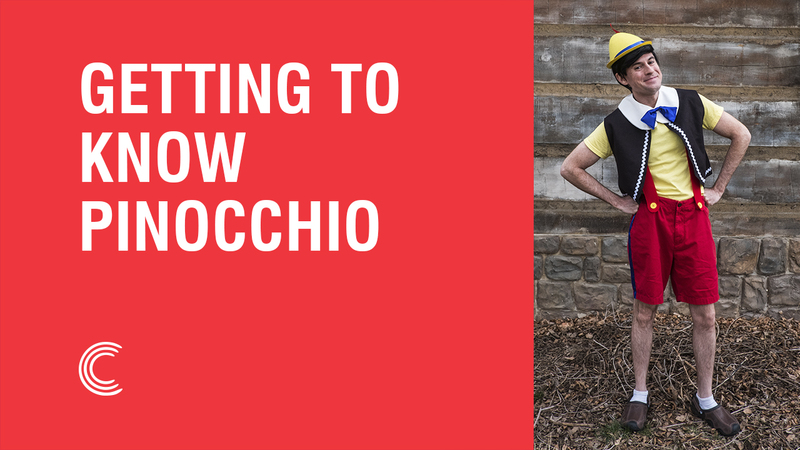 Catch Pinocchio in action in the newest episode of Studio C, and get to know him on a very personal level in our latest exclusive interview below! 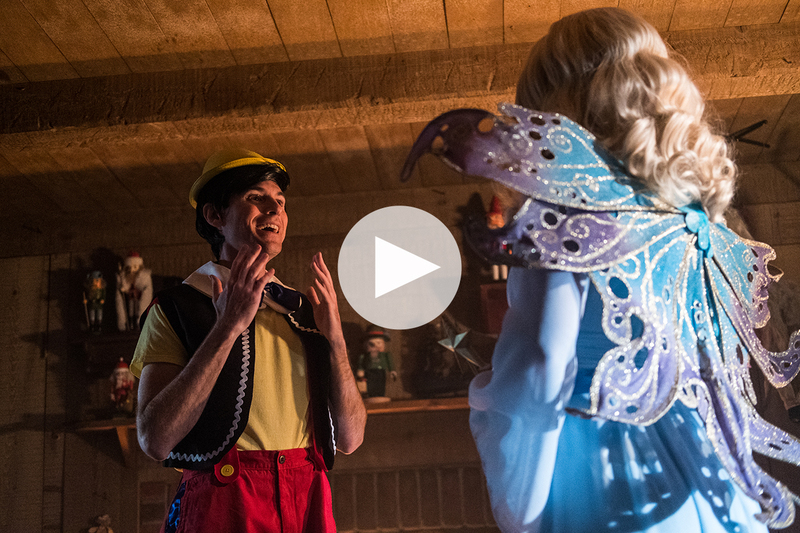 But before you find out what Pinocchio's dream career is, be sure to watch Susan Weebers', Batman's, Señor Lobster Bisque's, Robert the Artist's, Prince Charming's, the Yellow Justice Ranger's, and Ann Wither's interview! BYUtv: What do you like to do in your free time? Pinocchio: Well, there are a lot of things that interest me, but Geppetto suggested I take up whittling and that's just horrifying. So, anything that isn't whittling is great. I love to breakdance. Pinocchio: Favorite food. Well, here's the interesting thing about being a puppet. You don't have to eat. You can, but you don't have to. Pinocchio: So for my dream career, I was originally thinking politician, but then I thought, no. 'Cause everyone's gonna know when I'm not telling the truth. So I wouldn't be very successful. So then I thought, maybe just being a lie detector for the FBI. Pinocchio: I'll tell you what it's not. Termites. Beavers. Woodchucks. And also butterflies for some reason. Just…just don't like them. Pinocchio: "Liar Liar." Just a big Jim Carrey fan. It's the only reason. Pinocchio: Wooden. Or truthful. Oh, thank goodness. BYUtv: What is the first thing you do in the morning? Pinocchio: Here's the thing about being a puppet. You don't ever sleep. No dreams. Nothing. At night I just sit in a corner and contemplate. I would read, but I'm illiterate. Again, puppet. So, uh…Thanks for asking? Pinocchio: Favorite dance move would have to be the Robot. This is just a taste of my skills. Yeah, that wasn't very good. Pinocchio: Really, any of the fairy tale sketches. Just great, and they resonate with me on a personal level. Also, "Aww, Yeah" is pretty fun. BYUtv: What is your most awkward moment? Pinocchio: I was once dating a girl and she asked if she had put on some weight and I said, "No, you haven't." But she had and I found out in that moment and so rather than own up to it I just broke her glasses so she couldn't tell. She shouldn't be driving right now, but she is. BYUtv: Have you lied to us in this interview? Don't miss Pinocchio (and more of your favorite characters) on Studio C Season 9 airing every Monday night at 7pm MT on BYUtv.